Sometimes we need a little puff to take the edge off. That’s when a one-hitter can become your best friend. 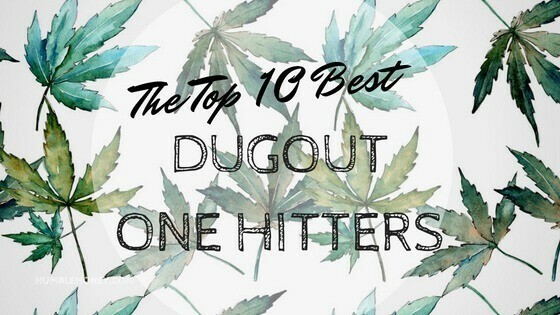 If you’re looking for a change up to your current one-hitter, or are thinking of getting one for the first time, you'll love this list. Keep reading to see the best dugout one-hitter and nine more that are worth a serious consideration. Notoriously, one-hitters used to generally look like ceramic cigarettes. With the wide acceptance of cigarettes, smoking one hit at a time out of a cigarette bat was a pretty discreet way to enjoy cannabis in public. However, the world’s view on cigarettes has changed, and smoking anything that looks like a “cancer-stick” in public may draw even more unwanted attention. Now that vaping has become such a widely accepted and popular way to enjoy nicotine (and cannabis), the style of the one-hitter has changed to keep up with the anonymity. One-hitters now look like anything from a science experiment to an accessory on a runway model. So, let’s see if any of these one-hitters speak to you. Without a doubt, Jane West - The Solo is the chicest one-hitters on the market. It's extremely thin, very lightweight, and comes with a poker. So, no more digging under a car seat for a loose paper clip or pulling a bobby pin out of your bun. The poker slides out of the contoured mouthpiece and allows you to push enough marijuana into a ½ cm deep basin. No need to worry about the poker coming loose and stabbing yourself in the pocket because it locks in nice and snug with the rest of the one-hitter. What makes The Solo so secure is also what makes the poker a cleaning tool. Since you are sliding it through the mouthpiece and into the hole on the other side of the basin, all you need to do is turn over your one-hitter to empty out any lingering debris. We feel comfortable giving the title of the best dugout one hitter to The Solo. While Jane West - The Solo has a sleekness factor, the Grav Labs 3 Inch Upline Taster looks like a chemistry experiment. However, this look is also the science behind its effective smoke cloud creation. Having such a wide, rounded space allows for the smoke to expand and contract multiple times against the glass before hitting your lungs. This helps you make a powerful pull. It also aids in alleviating a case of the coughs. As that smoke whirls through the glass stem, it cools the cloud down, making it much easier on the respiratory system. A bonus of this smoke tolerance is that you can pull in even more THC. Lastly, the mouthpiece on this one-hitter is bent. This is handy for catching any ash that might come flying your way during your inhale. Back in the day, these boxes used to look like something a caveman would carve, just a straight rugged box. However, brands like RYOT have evolved the vision of taste boxes. They’ve taken the simple taste box design and gave it a little extra feature. 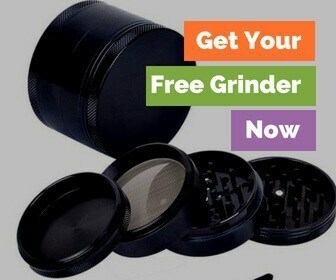 Including a slightly curved frame to make for a better grip as you are dipping your one-hitter into your herbs. Taster boxes are a great companion for one-hitter enthusiasts. Inside these wooden boxes are two holes. One is for your dry herb. You place broken up cannabis into that slot. There’s no need to worry about marijuana leaking out because it is contained by a strong magnetic lid that you swivel to the side to reveal your bud. When you swivel the lid to the other side, it will reveal another slot. This open area will hold your one-hitter (which is not included with this box). Just take the tip of the one-hitter and poke it around in your dry herb hole. Underneath the contraption lies a hidden poker, perfect for cleaning or packing. The first thing to pop about the Nucleus is its shape. Due to the cylindrical shape that is custom for one-hitters, it roll off of surfaces easily. However, the Nucleus is designed never to roll over completely, keeping your herb from spilling over or glass from breaking. That’s because a marble is used right around the pinch area of the glass. The marble serves as a weight, throwing off the momentum naturally created by a rolling cylinder. While a lot of the other dugout one-hitters on this list come with pokers or other little accessories, this is just a straight up chillum. However, the depth of the bowl is a bit wider on the Nucleus than most other one-hitters. This feature helps make this one-hitter become a five-hitter. This is a 2-for-1 piece for a true partier. The shot glass is attached to the chillum. No, not just the chillum-shot glass combo. The shot glass ITSELF is a double shot. Taking hits and shots simultaneously can be a recipe for disaster, but we don't judge here! This one-hitter isn’t meant to be discrete. It’s a pretty piece and a unique contraption that will undoubtedly spark up a conversation with your buds. This is the old faithful that started it all. Being the classic, this is the prototype for all of the one-hitters on this list. Due to this distinction, most taster boxes are designed to accommodate the size of these cigarette-looking bats. What sells the discretion of these one-hitters is that you can light up as if it were having a cigarette. To the naked eye, other bystanders will see a bright orange cherry at the end as you inhale through the mouthpiece. It flat out looks like a run-of-the-mill filtered cigarette. While the idea of smoking a cigarette in public may still draw ire of others, at the least the public appearance of puffing on a cigarette isn't considered illegal. You couldn't say the same if you were to blaze up your bong while walking down the street. This thing is all about cooling down your smoke so you can take enjoyable, burn-free hits. One unique aspect of the Grav Chiller Multi-Kit that sets it apart from other taster pieces is the fact that it comes with a glycerine mouthpiece. Just place it in the freezer before a smoke session for an extra burst of coolness. Not to mention, that the glycerine mouthpiece doesn’t take very long to absorb the freezer’s chill. This is nice because you don’t need to plan your smoke sessions far ahead in advance. From there, you have your choice of how you would like to smoke, either with a bubbler, nectar collector tip, or a one-hitter. Just attach the glycerine mouthpiece. The pieces are straightforward to assemble and take apart, making it easy to switch between attachments. Lastly, this simplicity also makes the whole cleaning process much more efficient. Perhaps the most durable of the pieces on the list, the Pyptek Prometheus Nano Pipe is designed with aero-grade aluminum for an exterior shell. That makes this pipe damn near crack-proof. The exoskeleton of this pipe surrounds a borosilicate glass core. This type of material ensures that your flower will not become tainted and lighting up will produce the full flavor. While tasty, be warned that the mouthpiece on the Pyptek Prometheus is a bit wide. So, you’re apt to get a mouthful of cannabis at times. With that being said, it does do a great job cooling down the smoke. This Jane West piece once again takes an old ideal and gives it a fresh coat of paint. They take the classic wooden taster box made famous by brands like the RYOT above and give the concept an updated look. Made from aluminum, this box sort of looks like a flask. Once again making Jane West a more discrete option for bringing your one-hitters into a public setting. With the Jane West Classic, the side that is designed to hold your one-hitter comes with a spring at the bottom which makes it easier to load your bowl in and out of the box. Perhaps the biggest drawback of this box is that it is created with other Jane West products in mind. Therefore, it will most likely be a tight fit for any one-hitter than isn’t rail thin like The Solo. This is the exact concept of the Grav Labs Shot Taster. I think the most significant difference here is in taste level...and we're not necessarily talking about the bud. Whereas the Grav Labs’ take on a one-hitter shot glass combo comes with a sleek design, the Medicali is brandished with designs on both the one-hitter and the shot glass, which gives it more of a college-vibe. All of these logos come in a wide variety of colors to choose from to make it a bit more of a customizable experience than the Grav Labs. These otherwise identical products seem to be marketed to two different demographics. Also, the Grav Labs version is a double shot, while the Medicali can only hold enough liquid for one. Grabbing the best dug out one hitter doesn't need to be a challenge. If you go to your local headshop, you'll see hundreds of choices. You did the smart thing by coming here to bypass all that luck of the draw nonsense. These one hitters are discreet, easy to use and smoke well. Did you end up picking up one of these models? Let us know how it smoked for you in the comments section!